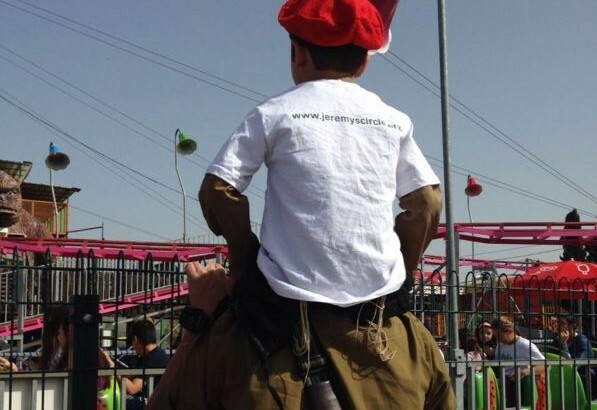 We had a fabulous Purim event on Friday, March 25th at the Kiftzubah outdoor amusement Park near Jerusalem. 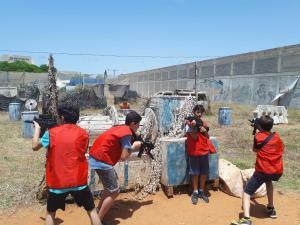 Over 200 participants attended this event including rides, games, face painting and hamentashen, as well as a Krav Mega workshop for the teens and tweens. 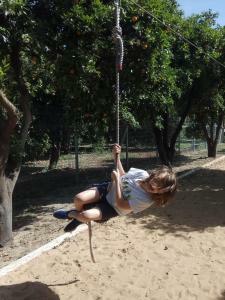 On Friday, April 15th we had our Pre-Pesach event at the “Ropes Park” in the nature reserve outside Modiin. This event had fifty families in attendance. The kids were divided by age and worked on their group skills and then enjoyed challenging fun on the rope activities laid out for them throughout the park. Our circle is growing. I am touched to share with you that at these two events together we welcomed over 30 new families to Jeremy’s Circle. Please help Jeremy’s Circle continue our important work. We have many fun-day activities planned for the summer of 2016 with a special emphasis on continuing to reach new families in need of our programming. Reaching these goals depends solely on our ability to fund these activities in a timely fashion. Please see our donation page or click the relevant button to make a tax deductible donation in the Donate in US, Donate in UKor Donate in Israel. Jeremy's Circle Silent Auction 2016!